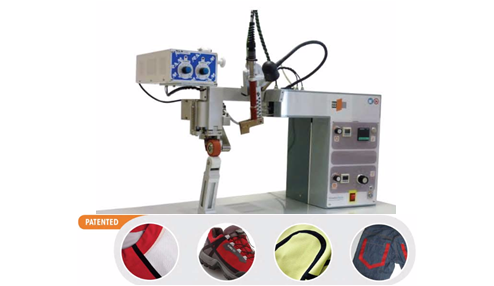 Machine with motorized top roller and pressure of up to 35 Kg for adhesion of tape or waterproofing of fabrics thick and seams overlapped. Pressure of up to 35 kg. with excellent adhesion and sealing performance. Roller upper motor for seam overlapping or fabrics thick. In garments both open as closed. Can work also in curves. Distribution uniform of the heat.